We often get the question “How much does whole life insurance cost,” so we put together the following whole life insurance rates by age chart below. But before you dive into the numbers it is important that we clarify a few major points in advance on how you can get the most cost effective whole life insurance policy, designed specifically for you, based on your individual needs, goals and objectives. You see, life insurance underwriting is evolving rapidly thanks to big data. It used to be you would apply for coverage, take a medical exam and then find out if you are approved and at what rate class. However, thanks to advances in technology, you can get no exam cash value life insurance on whole life policies. And while the convenience is great, it is not always the best route to take to get the best price and lowest cost for whole life insurance coverage. The biggest determinate of how much life insurance costs will be your age. The older you are the higher premiums you will pay. Underwriters consider your life expectancy and price your policy accordingly. As you can imagine, most people fall into the standard health rate category. However, there are definitely steps you can take to maximize your chances of getting the best rates on whole life insurance. You can read more on this subject by visiting our article on the Life Insurance Medical Exam. So, the above info gives you an idea of how whole life insurance premiums are determined. 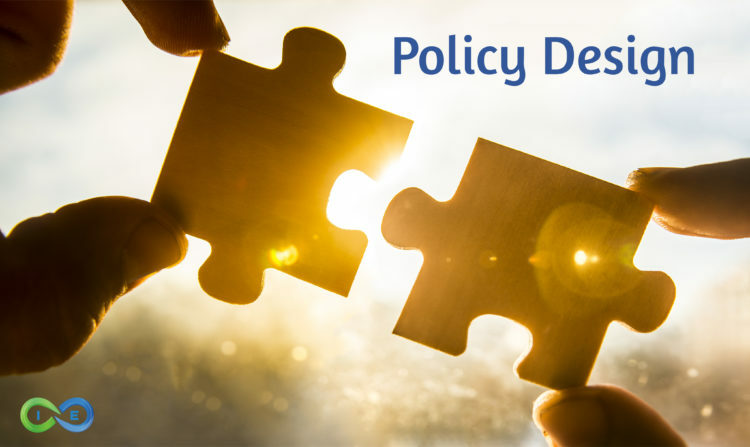 But when it comes to permanent life insurance, some other factors weigh heavily on your premium, such as policy design. Yes, you can get the whole life insurance rates below if you are in great health. However, when it comes to whole life insurance quotes, the premium payment you pay for your coverage can vary depending on how your policy is designed. And how you design your whole life policy will depend on several factors, such as your age, health, needs, goals and objectives. There is no best whole life insurance because there is simply is no one size fits all policy out there. The best policy for you may not be the best for your spouse, friend or colleague. That is why at Insurance&Estates we focus on providing our clients and visitors with as much education as possible to help you make an informed decision as to how much coverage you need and also into what life insurance company is best for you. So, here is an important point. The higher your initial death benefit, the more your life insurance will cost. Many people are led to believe they need to maximize the death benefit. However, that is often not the case. Often, maximizing your cash value accumulation, and focusing on cash value growth, is the better option. 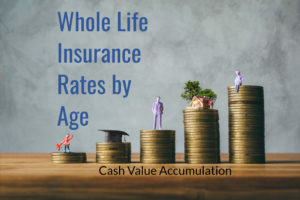 Creating a high cash value life insurance policy gives you the benefit of a policy that grows cash value quickly, that will also grow your death benefit as you get older. And chances are, you are more likely to live longer, so a policy that maximizes your death benefit as you age, focusing on high early cash value growth, may be the better option. For more on the benefits of whole life, check out our article on the pros and cons of whole life insurance. This policy is paid up at age 100, so you pay premiums until you die or reach 100. At age 100, your face amount and cash surrender value are the same. Most companies nowadays offer whole life insurance to age 120 or age 121. Once you have paid into the policy for the requisite years or to age 65, the policy is considered paid-up. You no longer have to make premium payments. However, even though your whole life insurance is paid up, your whole life policy still has the ability to grow due to guaranteed returns. That means your life insurance death benefit may continue to grow as you get older. The riders you select for your whole life policy also have an impact on your rate, as well as on your policy’s performance. Adding a term rider to your policy can help maximize your initial death benefit, while simultaneously keeping whole life insurance costs low. Further, through the use of a paid up additions rider you can overfund your life insurance. The main benefit of doing this would be to maximize your cash value growth early on. The following sample 10 Pay Whole Life Insurance Quotes are from an A rated carrier or higher for a preferred plus male. Annual Rates are for informational purposes only and must be qualified for. The following sample 20 Pay Whole Life Insurance Quotes are from an A rated carrier or better for a preferred plus male. Annual Rates are for informational purposes only and must be qualified for. The following sample whole life insurance quotes are based on a preferred plus male wanting ordinary whole life insurance to age 100 with an A rated insurance company or better. Monthly Rates are for informational purposes only and must be qualified for. As with all life insurance, the older you get the more expensive the premium payment will be. But it is important to realize that with a properly designed whole life insurance policy, your policy’s performance will still make it a great option no matter what age you are when applying for coverage. We covered the best life insurance for seniors for wealth building and legacy creation in a previous article. The gist is that you want to apply with the insurance companies that cater to older clients. Now realize, some companies focus its niche on younger clients and some focus more on older clients. The key is knowing which company will provide you with the best policy and price. Often, grandma or grandpa will see the benefits of whole life insurance and want to get a policy for the grandchildren. Whole life insurance for children is a great choice because of the different lifetime benefits received. For example, as the whole life policy’s cash value grows, it can be withdrawn or borrowed against to pay for a car, education, or even a down payment on a home. And the parent or grandparent can be the owner of the policy and direct whether or not the funds can be accessed. Whereupon a certain age, the parent or grandparent can then transfer ownership over to the child, who has now reached adulthood. The following sample child whole life insurance quotes based on a preferred plus male for ordinary whole life insurance to age 100 with an A rated insurance company or better. Monthly Rates are for informational purposes only and must be qualified for. At Insurance&Estates, we write extensively about whole life insurance. Please take a look around our site or click the links in the article to gain a better understanding of this often misunderstood and maligned insurance product. So, here is a brief breakdown on what whole life insurance is and the benefits it can provide you. Whole life is cash value life insurance. You pay premiums into the policy in order to secure certain guarantees. A guaranteed death benefit provides a payout to your beneficiary no matter when you die, as long as you make your required premium payments. The life insurance payout is not taxable to your beneficiary. Guaranteed tax deferred cash value growth provides that your policy’s cash value account will continue to grow year after year. Guaranteed level premium means that your premium payment will remain level, or fixed, for the duration of the whole life policy. Unlike many other types of life insurance, your premium will not change. Guaranteed access to your money means that you have a contract with the insurance carrier and the cash value is yours to withdraw or borrow whenever you need it for whatever you need it for. And life insurance loans are tax free, so you can access your money without having to worry about creating a taxable event. In addition to these guarantees, whole life insurance dividends are available from participating whole life insurance companies. Although the dividends are not guaranteed, most of the participating whole life companies that pay dividends have not missed paying participating policyholders dividends in over 100 years, even during the Great Depression. Dividends are valuable and can be used to pay premiums, keep with the insurance company to earn interest, cashed out to use however you want, or used to purchase paid-up additions. Paid-up additions occur when you use your dividend payment to buy additional paid up life insurance. Every year you receive a dividend from the insurance company you can elect to buy additional life insurance with the proceeds. Paid-up additions benefits are twofold. 1. Your death benefit grows. As you add additional paid-up life insurance coverage to your policy your death benefit grows. That way, the older you get, the more life insurance death benefit payout you leave behind. 2. Your cash value grows. As you add paid-up coverage into your policy, your cash value grows as well. And the more cash value you have, the greater your dividend payment. So you increase your annual dividend payment amount year after year, providing true compound growth, not depleted by taxes. How Does Whole Life Insurance Stack Up to the Competition? Often, our clients will want to know which life insurance policy will be best. For example, the classic showdown of whole life vs term life. Click the preceding link for more on how these two policies compete, but a couple things we would like to point out on the differences between term life and whole life. Term life insurance lasts for a specified contractual period of time. You can choose annual renewable term insurance (1 year), 5 year term, 10, 20, 25 and 30 year terms. Once the term insurance policy ends, the premium on the term policy will either increase or the death benefit will decrease. Another product comparison would be whole life vs universal life. Both are permanent life insurance and both have the ability to be structured to provide either maximum death benefit protection or cash value accumulation. When comparing whole life vs universal life, the winner will be determined by your unique goals and objectives. For example, some universal life policies are more ideal for providing hybrid long-term care life insurance. However, there are certainly solid whole life long term care insurance hybrids as well. The main point of this article on whole life insurance rates is that there are a myriad of options available to you. And whole life insurance coverage is accessible no matter what age you are or where you fall on the wealth spectrum. the key to the best whole life insurance rates is knowing “which” life insurance company is going to provide you with the greatest opportunity for success at the most affordable price. And this is where I&E can really help. 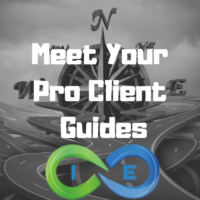 Here at I&E, we have chosen to remain an independent life insurance brokerage that is able to work with dozens of different life insurance companies so that when it comes time to helping you determine which insurance company is going to be the “best” for you, we don’t need to rely on just one or two different options. We’re able to make those companies “compete” for your business thus giving you a better opportunity for success!